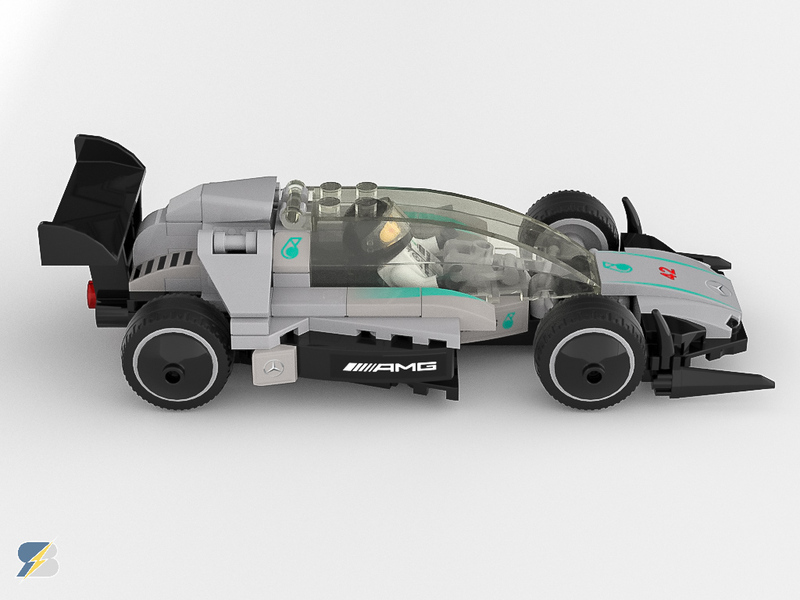 Lego has organized recently another Rebrick contest with the Mercedes AMG Petronas F1 Team – the goal was to create the F1 car of the future. 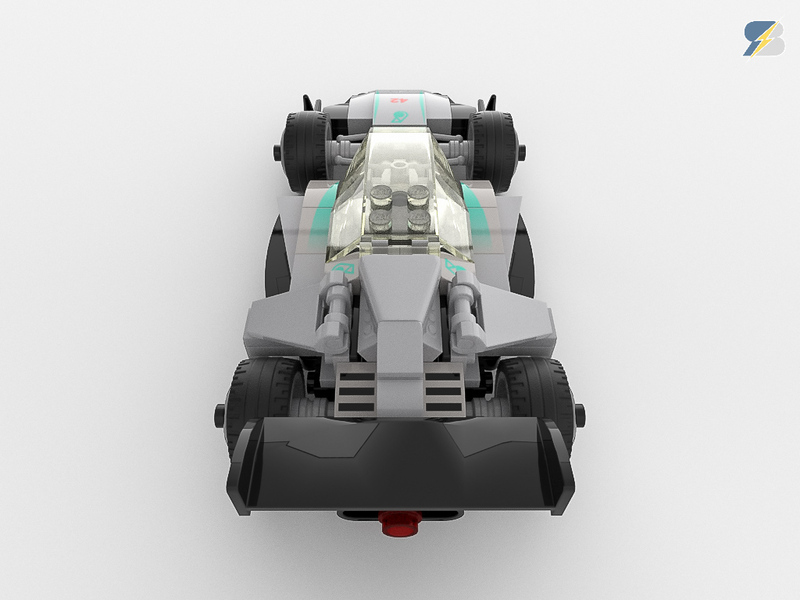 I wanted to create a car that looks somehow futuristic but looks like an evolution of the current cars, and represents the color scheme and the logos of the team. As I do not have too many non-Technic bricks I decided to create a digital entry. I started to build with LDCad, that’s the application I’m more or less familiar with. I started to sketch some ideas but the summer holidays came so I forgot about it. 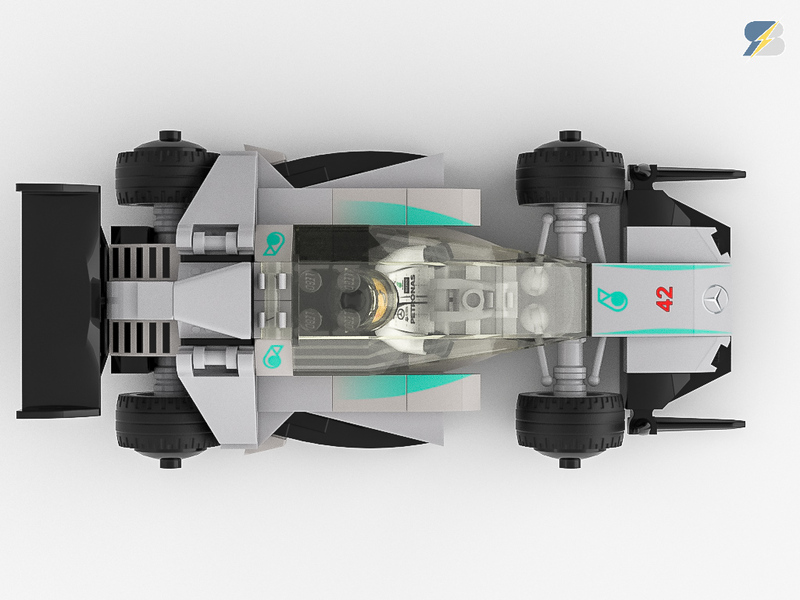 I only realized the deadline 3-4 days before it arrived, so I had to act quickly 🙂 I finished the build in LDCad, but as it does not offer any rendering abilities I had to look quickly for a solution. The Ldraw-Povray connnection was not that easy to figure out in such a short time frame, so I had to look for something else. 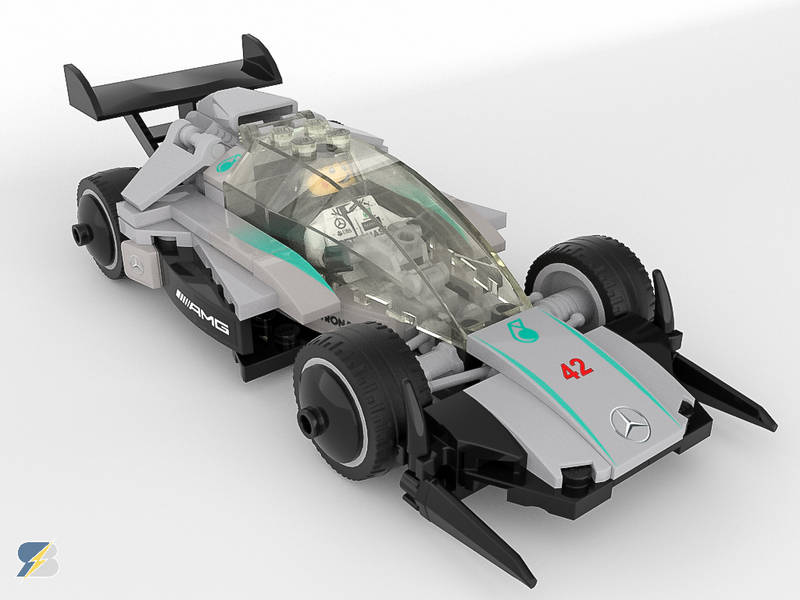 I considered rebuilding my car in Lego Digital Designer as there are multiple good rendering options for the official app, but unfortunately I used some pieces that are not available in LDD. 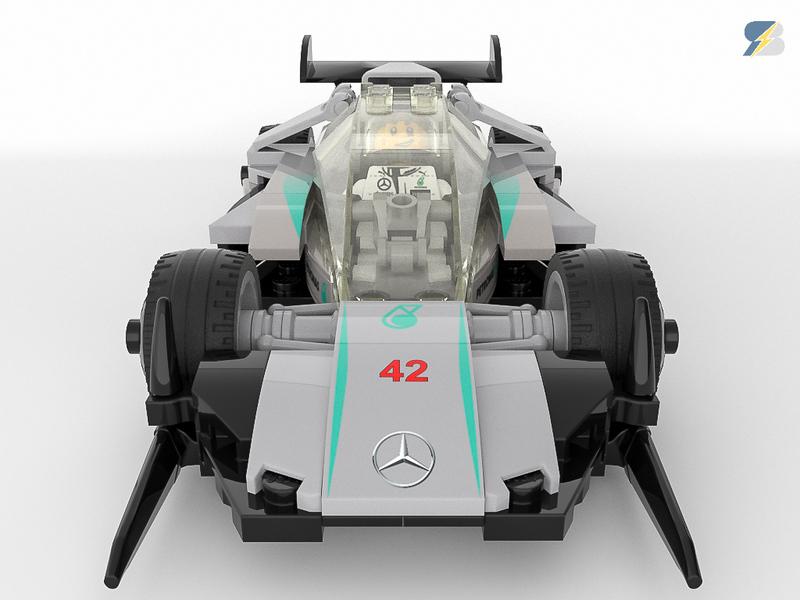 Blender, digital, LDCad, Mecabricks, moc, Rebrick, Speed Champions. Bookmark.